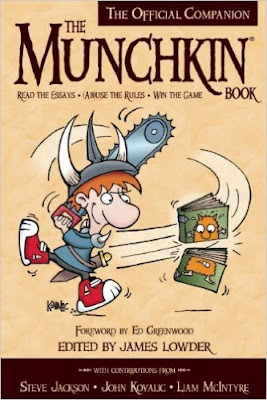 I've been vaguebooking about this for some time, but I finally get to announce that I am one of the authors in an upcoming Munchkin product. That's right, I've been given the chance to write an essay on what makes Munchkin such a great game and have been given the honor to work with James Lowder and to receive positive feedback from Steve Jackson himself. The book will be available for purchase on February 23rd, but you might want to pre-order it from Amazon now.